Just as much history can be found in the eight minutes required to listen to Guns N' Roses' "Civil War" as can be derived from the 140 minutes necessary to watch Free State of Jones, the new Matthew McConaughey film which could easily have been named 2 Hours a Slog. Always earnest but only intermittently interesting, it suffers from Gary Ross' ineffectual staging, a screenplay that manages to be both cluttered and incomplete, and too many examples betraying the maxim of "show, don't tell." "I don't need your Civil War," warbled Axl Rose. "It feeds the rich while it buries the poor." That, in a nutshell, defines the mindset of Newton Knight (McConaughey), a Southern farmer who fights in the Confederate Army but soon comes to the realization that he and his fellow grunts are basically only spilling blood to protect the interests of the fat-cat slave owners. Thus, he opts to desert his outfit, emerging over time as Mississippi's own Robin Hood and fighting for the rights of the region's poor whites and enslaved blacks. Historical veracity be damned (as it usually is when it comes to Hollywood): This has the makings of an engrossing and important movie, more so since it neatly ties into the modern era's troubles with the entitled one percent, with Trump's army of misguided yahoos, and with crushing racial prejudices. But the film is so poorly paced and constructed that its themes never manage to take root in any significant manner, with too much scrolling text and a clumsily integrated subplot (involving a trial over miscegenation, taking place 85 years after the war) but two of the culprits. McConaughey delivers a strong performance, but his character is one-note, with no flaws but plenty of didactic speeches — including a tone-deaf one in which he states that he and other poor whites are just as much "n*****s" as any black person (yes, because living in a dilapidated shack is absolutely no worse than being routinely chained, beaten, raped, castrated and lynched). Too bad. 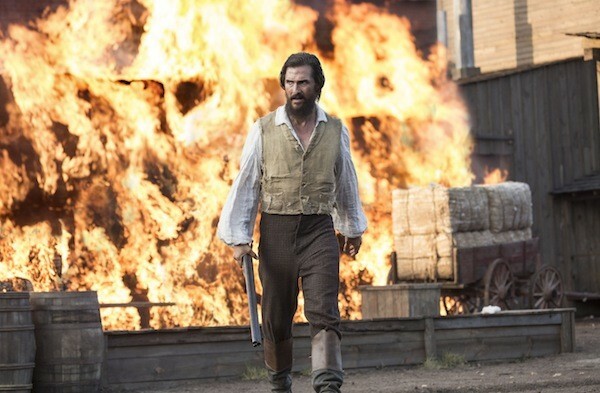 With its relevant issues and its look at an ugly chapter in American history, Free State of Jones should have been produced with enough care to register as an awards powerhouse at year's end. But given the degree to which it bungles its information, perhaps this is the one time when it's perfectly acceptable to shoot the messenger.